Metatropo Yoga Computer Flashcards with Sanskrit audio. 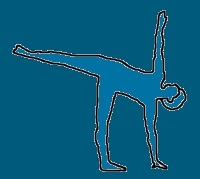 The program quizzes you on the English and Sanskrit names of many common yoga poses. The program also plays audio of the Sanskrit names to aid in pronunciation. 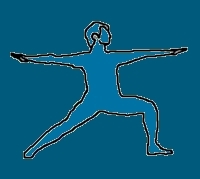 The general shape of each yoga pose is shown in a drawing. A human voice pronounces the Sanskrit name. Follow this link to download the free demonstration version of the yoga flashcards. This program includes all the features of the full version but has a small subset of the 90+ yoga pose flashcards. This is a great way to try out the program for free. Learn the cards in smaller groups by selecting specific categories: Poses are grouped: sitting poses, standing poses, beginner poses, advanced poses, etc. A hands-off feature quizzes you using a timer. System Requirements: Microsoft Windows. This program will NOT work on a Mac.